The simpler, clearer version of what’s going on in the abortion industry all this time. Good questions. Let’s be clear about what’s really going on in abortion clinics, behind the sterile terminology and semantic gymnastics. Many Americans may not know that the term “partial-birth abortion” is not a medical one but a legal one. 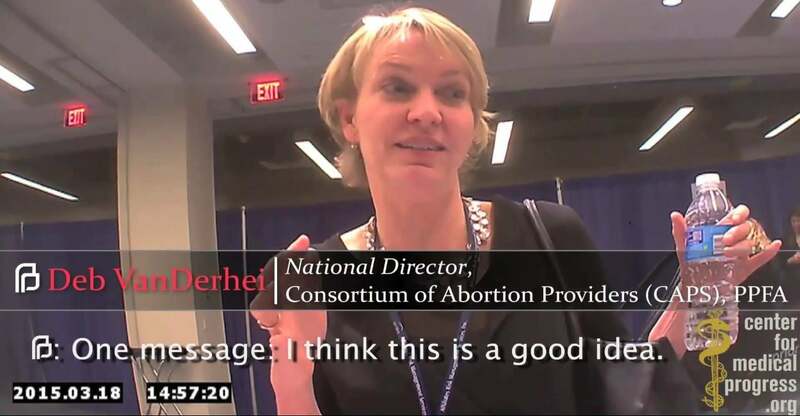 And, according to Planned Parenthood doctor Deborah Nucatola, some abortion providers don’t consider it with any seriousness. In her own words, “It’s not a medical term, it doesn’t exist in reality.” What? It’s clear Nucatola thinks the law is irrelevant—or, as she says, up for “interpretation.” She explains how abortion providers get around the law by injecting a fatal quantity of digoxin, a cardiotoxic drug, into the baby’s heart before dismembering or delivering it. As hard as those videos are to watch, this is hard to read. Read on. We are talking about a human life here. In each and every case. The sheer lack of recognition of that basic fact in this kind of discussion about these kinds of procedures takes the breath away. Then after seeing and hearing it again, I knew why. This is a baby. A baby generating data in a neo-natal ward. Every heartbeat, every breath, every anomaly…from over a thousand pieces of unique information per second helping doctors find new ways to detect life-threatening infection up to 24 hours sooner. On a smarter planet, analyze the data and you can predict what will happen faster. So you can do what they do in Toronto, and build a smarter hospital. Then the IBM logo fills the screen as the theme music winds down. What makes this not a baby just hours or minutes before arriving in the neo-natal ward, in the logic of partial-birth abortion advocates? The Chicago Tribune editors called it “Pointless” and there’s no disputing that. She deflected every attempt to get her to reveal how she may come down on the great issues that await her on the court. It’s the ‘system’ now, the editorial notes. Ever since 1987, when Robert Bork participated in a stimulating discussion of his distinctive approach to constitutional interpretation â€” only to be rejected by the Senate â€” appointees have chosen to give their questioners as little information as possible, as pleasantly as they can. Senators have taken the opportunity to give long-winded speeches in the guise of questions for the nominee, to show how wise the senators are. Especially those in the majority party, who know this is a slam-dunk anyway so they use the time for grandanding and soliloquy. Senators would be far better off ransacking their writings, speeches and judicial opinions (if, unlike Kagan, they have served on the bench) for illuminating clues. Actually, some did. And they tried to confront Kagan with her writings and political interventions in such consequential matters as partial-birth abortion. Though the ‘hearing’ process allowed her to evade the issues, she can’t and shouldn’t escape the scrutiny they raised. Add pro-life Nebraska Sen. Mike Johanns to the list of lawmakers in the Senate who are officially opposed to the nomination of pro-abortion activist Elena Kagan to the Supreme Court Johanns joins several Republican colleagues who say Kagan is too much of a judicial activist to merit confirmation…”As an advisor to the Clinton administration, Ms. Kagan led the fight to keep partial-birth abortion legal. She even went so far as to insert her own personal beliefs in the place of scienceâ€”extremely disturbing given the horrific nature of partial-birth abortion,” he said. “When the Supreme Court struck down Nebraska’s ban on partial-birth abortions in 2000, it backed up its decision with language from a purportedly non-partisan physicians’ group. Yet it has been reported that the critical part of that statement was not written by doctors, but by Elena Kagan, who at the time was a White House policy adviser to President Clinton,” Johanns explained. “This language essentially overrode scientific findings against partial-birth abortion in favor of Ms. Kagan’s view,” he concluded. Senators asked Kagan about the memos during Judiciary Committee hearings and she explained her actions away by saying she wanted to help ACOG form a more accurate opinion. After citing her role in lobbying the medical organizations, the Times says senators need to keep this in mind when they vote. “Democratic senators who harp about ethics – such as Pennsylvania turncoat Arlen Specter and Wisconsin Democrat Russ Feingold – should take offense at Ms. Kagan’s serious fudging under oath. Senate Democrats who claim to oppose partial-birth abortion – such as Nebraska’s Ben Nelson, Arkansas’ Blanche Lincoln and Nevada’s Harry Reid – should be held to account if they vote for her,” the Times wrote. Which is why politicians aren’t exactly rushing to admit it. …there’s some crucial unfinished business the Senate should insist on before voting on her nomination to the Supreme Court. To wit, she ought to recuse herself from participating as a Justice in the looming legal challenges to ObamaCare. In response to Senate queries, Ms. Kagan has said she’ll recuse herself from participating in 11 cases on which she represented the government in her current job as Solicitor General. The challenge to ObamaCare isn’t one of them, though the cases brought by Florida and 20 other states were filed in March, well before President Obama announced her nomination on May 10. Regarding a potential recusal, that’s not the right question. Ms. Kagan was unlikely to have been consulted on the merits of health-care policy, and even if she did express an opinion on policy this would not be grounds for recusal. The legal precedents on that are clear. 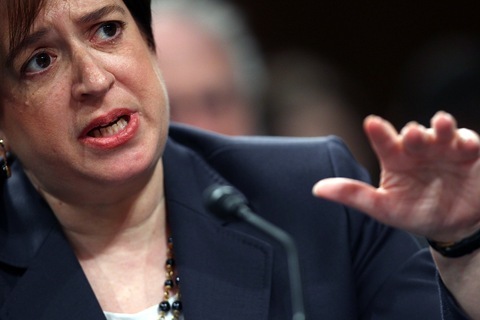 Ms. Kagan would sit as Mr. Obama’s nominee on the nation’s highest Court on a case of momentous Constitutional importance. If there is any chance that the public will perceive her to have prejudged the case, or rubber-stamped the views of the President who appointed her, she will damage her own credibility as a Justice and that of the entire Court.